Travelling about Europe, I was frequently reminded about the pledge we made at the Victoria Landfill 2 years ago to not buy single use disposable water bottles. My constant reminders came in the form of 2 sets of admonishing eyes. Thirsty from 90+ degree heat. And resisting. At one restaurant in London that only sold water in small plastic bottles, I had to convince them that I wasn’t trying to usurp their profits. My story about signing the water pledge at the Victoria landfill didn’t convince them. They looked at me sceptically. But money spoke louder than ecological words. Blaming my ‘crazy’ behaviour on two cute kids, I also offered them a generous tip. They took it and promptly filled up two cups of London tap water. “Thank you so much,” I smiled at them. They shrugged at me. I looked down at the cups of water. They were plastic, single-use disposable cups. Travelling abroad is tricky for diets ecological and foodwise. To offset my carbon guilt I buy Carbon Credits. But there is so much temptation to resist. For example, on long haul flights, flight attendants come by every hour or so with water in plastic use cups. They don’t encourage folks to reuse. 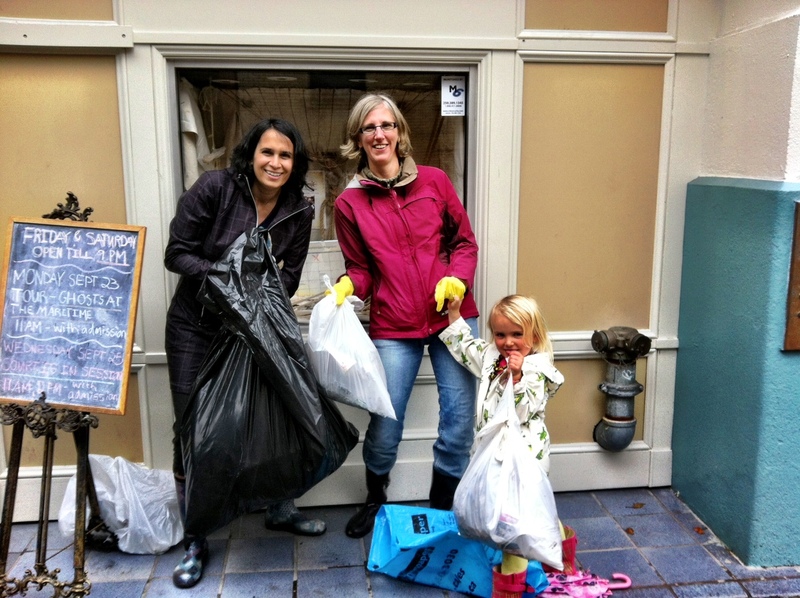 If we hadn’t taken the pledge, we could have used hundreds of plastic containers over the course of a few weeks. Reminders like “Down to the Last Straw” https://www.facebook.com/DownToTheLastStraw reinforce the commitment of the Pledge we signed. May this also gently and lovingly remind you next time you reach to quench your thirst. I was outraged recently by certain folks of certain large multinational monster corporations who think that water shouldn’t be a public good. But Hombre is it ever difficult when everywhere you go are plastic bottles offering to quench your thirst for a dollar or a Euro…. The best thing I saw the whole trip was the machine below when we got to Victoria. I want to see more of these in airports everywhere! 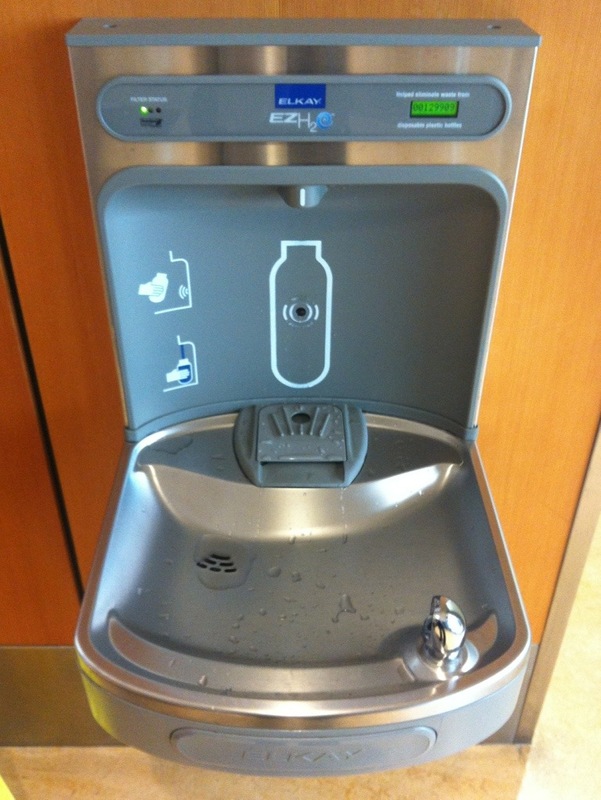 A counter embedded in the top right corner indicated that this device has thus saved the waste from 129, 909 plastic bottles. Wunderbar! Or- Wunderbra (as my Dutch friend Trui deliberately mispronounces). This entry was posted in plastic, The Environment and tagged Down to the Last Straw, Elkay, EZH2O, Victoria airport, water fountain at airport on August 14, 2013 by Gurdeep Stephens. The more plastic I see, the less I like it. I now equate all plastic with the continent-sized mass floating in the Oceans and the birds and sea creatures ingesting micro and macroscopic pieces of plastic junk. Let’s recycle every bit of it and use materials that biodegrade. No – wait TWO wooden watches. Wow. I went through a phase in my 20s where I thought that Swatches were really cool. Swatch was the first major Swiss brand to make a watch that was not designed to last, but to change with the fashion trends. After buying several of these cool, colorful, fun things, I realized that the plastic didn’t hold up. Plus it was cheaper to buy a new one than the hassle of changing a battery. Duh! They were not made to last. It cost more to fix than replace. Is that right? I mean is that right? If the vast market for wristwatches is now disposable fashion watches, then why not at least try to make something that, in part, biodegrades? 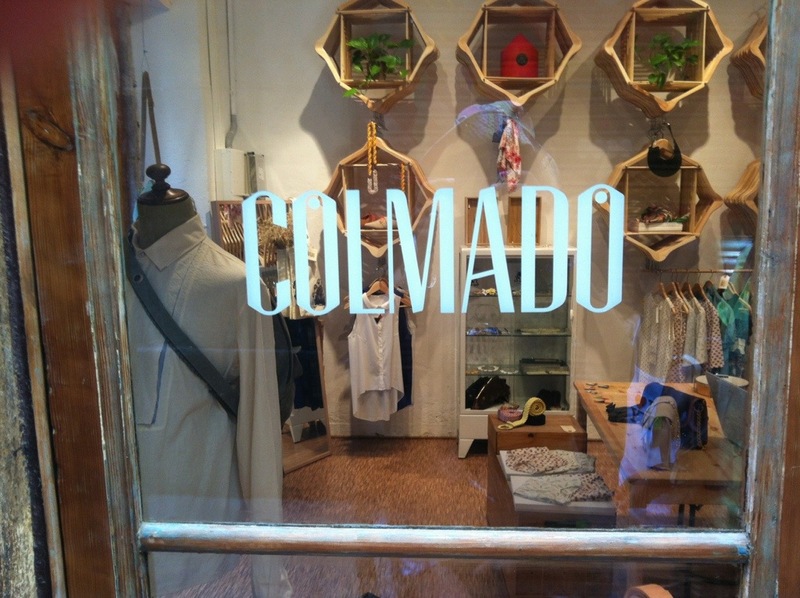 Colmado is the name of the store as above. Colmado means filled. I could spend months blogging about the myriad cool things in Barcelona. I met a friend of a friend, who’s friend has invented a special new weeding machine on his organic farm near Barcelona. He claims that his machine costs less than using Pesticides. Cheaper, non-polluting. And it’s doesn’t poison the water, deplete and poison the soil. Or kill the bees. I miss Barcelona. When I lived there, it was a hotbed of design and dynamic ideas. I’m happy to report that it hasn’t changed. 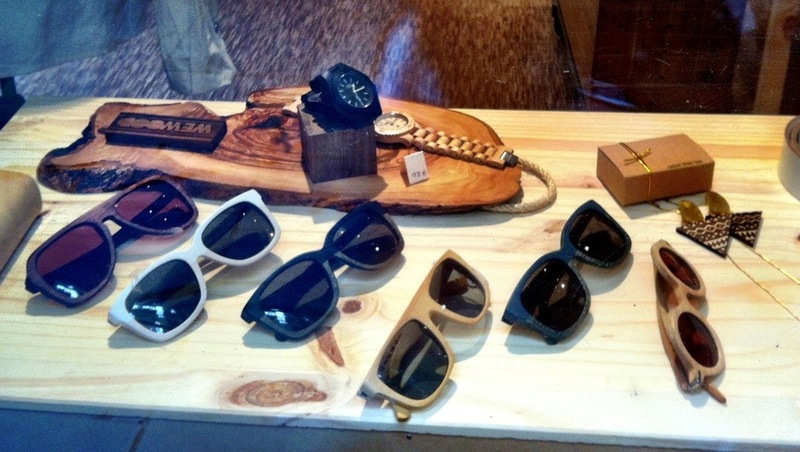 This entry was posted in Food heros, Organic, plastic, Sustainable Business, The Environment and tagged Barcelona, Colmado, Gothic Quarter Barcelona, wooden glasses, wooden watch on August 4, 2013 by Gurdeep Stephens. I see a sea free of plastic. I can think of a hundred or so uses where plastic is used to great effect in medical applications. One that pops to mind are those bags they use for IVs. But for every life-saving application, I can think of a million uses where plastic is gratuitous. The plastic doll, with her plastic bags and technicolor accessories, packaged in a stiff plastic carton covered with plastic stickers and then put in yet a plastic carrier bag. For example. Have you heard of the continent-size plastic mass in the Pacific Ocean? I don’t want to use this blog to dwell on the negative. So don’t worry, I wont show you heart-breaking pictures of dissected albatrosses and baby seal guts full of plastic. Nor will I try to freak you out and make you feel bad for using plastic. But look at the picture below. This is how much plastic that goes into the sea every 15 seconds. 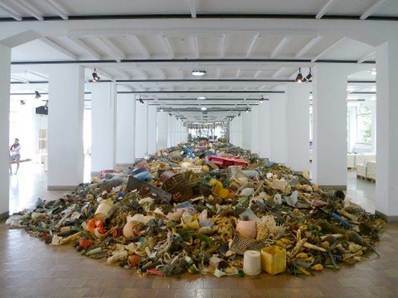 Out to Sea – The Plastic Garbage Project just opened in the Zurich Museum of Design / Switzerland. How to we tackle the clean up? There are several initiatives, they will be funded. Support them. How do we begin to even tackle the cause? This answer is: One Straw at a Time. Praveen Varshney started an initiative called “Down to the Last Straw” http://downtothelaststraw.com/ Please look at his website and Facebook page Down to the Last Straw. What woke me up to write this blog was being reminded that if we personally don’t address these problems, who will? Who is responsible – if not me? And you? But we all need inspiration to change. This blog is about exemplifying people and systems who are doing the right thing. It might be about one little straw or one little non-GMO alfalfa seed. But one small fearless step is all it takes to go forward. Praveen’s initiative is this one small step forward. Since liking the Down to the Last Straw on Facebook a while back, I was re-reminded about the monster floating mass of plastic. I assumed, perhaps like you… that we heard about the problem, were upset about it and then assumed that someone fixed it because we didn’t hear so much more about it since. Back to business as usual and the problem was taken care of and gone. Right? Uh…no. Praveen’s Down to the Last Straw initiative reminded me (inconveniently, if truth be told) about the plastic problem. Since then I was inspired to double my efforts to systematically refuse straws with drinks, disposable lids for teas I buy when travelling. Since plastic was invented, not one piece of it has healthily and non-toxically decomposed. Tons of it goes into the sea. My daughters and I signed a pledge when we were at the Victoria landfill last year to not drink from disposable plastic containers. But travelling shakes your principles. We were thirsty and boy did we feel terrible when offered cup after disposable plastic cup of water on the plane last week. My six-year-old said, “Mom, I promised not to drink out of plastic when we were at the dump. But I’m so thirsty”. Surely airlines can eat some of their margins to again provide non-disposable cups. They do so in business class…. Italy is a wonderful place to avoid carrying bottled water, as I informed every guest that came to visit me for the 6 years we spent living here. Ever see one of those little nondescript Italian ‘bars’? They are on every street corner in Italy. 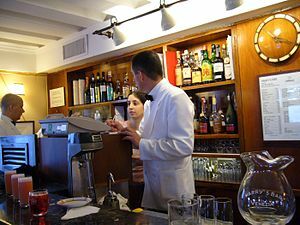 They usually have a few old folks sitting at a table and a few Vogue/GQ models standing at the counter. The ‘bars’ are places to get a coffee, a drink of water, a few friendly words, cigarettes (! ), a shot of grappa, bus tickets, a quick croissant or a little treat for a toddler (that the barista invariable cooes at and talks to for 5 minutes with wild hand waving). At the counter, after saying hello to the room “Buongiorno”, you plunk down 30 euro cents and ask for a ‘bicchiere d’acqua, per favore’. You receive a chilled or room-temperature (your choice signora) glass of water. It isn’t a huge glass but one you can down in 3-4 average-size elegante sips. Refreshed, 1 minute later you sashay out of the bar and onwards with your day. What a pleasant alternative to carrying around bottles of water – Viva Italia! If we absolutely *must* use disposable containers, let us use ones that have a realistic chance of breaking down. Let’s refuse that last straw, that lid, those forks, those trendy colourful toys and meaningless gadgets. Let that awareness blossom into a deeper respect for the oceans, the sea plants, the plankton, the marine invertebrates, the fish, the birds, the sea mammals, ourselves. This entry was posted in plastic and tagged Bottled water, Down to the Last Straw, great pacific garbage patch, Italy, Pacific Ocean, Plastic, Praveen Varshney on April 24, 2013 by Gurdeep Stephens.